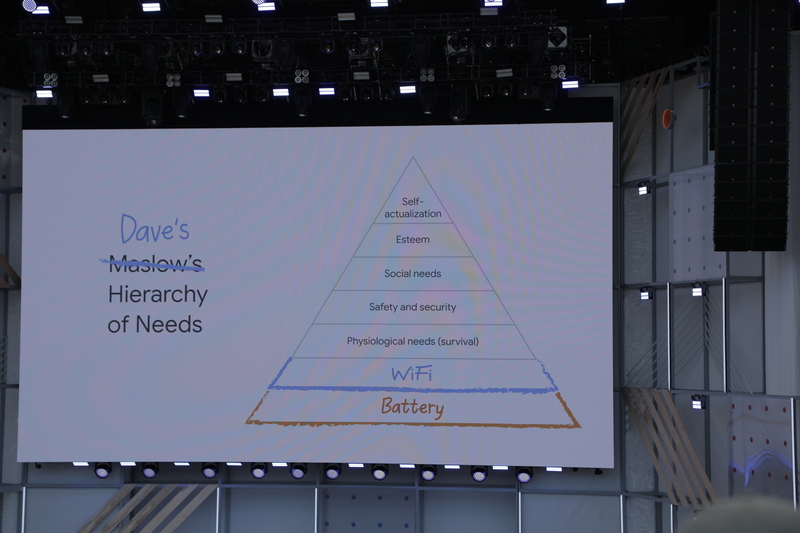 No surprise here, Android P was the highlight of today’s Google I/O keynote. The new version of the company’s mobile operating system still doesn’t have a name (at least not as of this writing), but the company’s already highlighted a number of key new features, including, notable, Adaptive Battery. Aimed at taking on basically everyone’s biggest complaints about their handset, the new feature is designed to make more efficient use of on-board hard. Google’s own DeepMind is doing much of the heavy lifting here, relying on user habits to determine what apps they use, when, and delegating power accordingly. According to the company, the new feature is capable of “anticipating actions,” resulting in 30-percent fewer CPU wakeups. Google has promised more information on the feature in the upcoming developer keynote. Combined with larger on-board batteries and faster charging in recent handsets, the new tech could go a long ways toward changing the way users interact with their devices, shift the all night charge model to quick charging bursts — meaning, for better or worse, you can sleep with your handset nearby without having to worry about keeping it plugged in.